While customer data onboarding has been around for years, this oft-overlooked technical process that connects offline and online data is once again thrust in the spotlight. As marketers increase their investment in identity-based strategies, this critical first step impacts both the level of identity resolution that brands can achieve and their ability to activate addressable marketing. 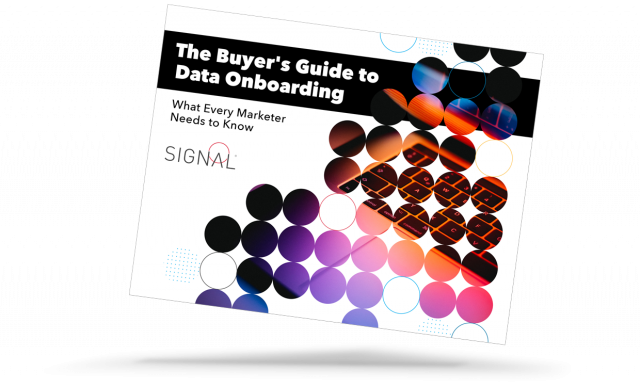 In The Buyer’s Guide to Data Onboarding, we break down everything marketers need to know about data onboarding — from how it works to how it can be leveraged — to help inform the right solution. How the process of data onboarding actually works. The key technical capabilities that impact onboarding effectiveness. The top four questions to ask when seeking an onboarding solution.